You take very nice pictures. Excellent dear Gregoir. Awesome landscape enchanted by superb light !! 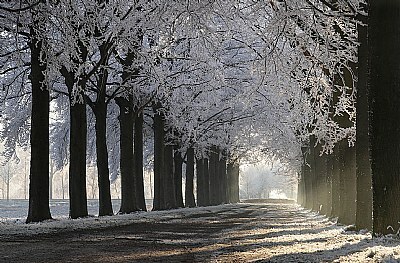 Beautifully taken with the light, shadow and frost, Gregoir! I like your composition and perspective here, too. It's the kind of picture I would like to take! Great shot whith great composition. Mooi en sfeervolle foto Gregoir. het heeft veel 'wish I was there' inhoud.